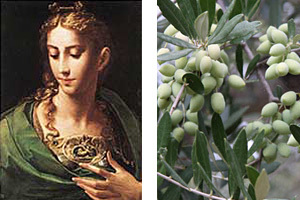 Find out a few facts about the extra virgin olive oil from the House of Bisceglia, the symbolism of olive oil in general and the goddess who gave it to us. We will also tell you why olive oil from Basilicata is an insider tip, why we age more slowly with olive oil and where to find the oldest olive tree in the world. The cold-pressed extra virgin olive oil comes from the House of Bisceglia in Basilicata, southern Italy. It is extracted from Coratina, Scarpetta and Racioppella olives which are cultivated on a small scale and carefully harvested by hand. The olive varieties used are important because they taste different and therefore also define the aroma and flavour of the oil. The olives selected by Bisceglia produce an oil that impresses with its fruity, mild yet still slightly peppery flavour. By the way: Bisceglia's olive groves "only" cover 50,000 m². However, the 2,500 olive trees that thrive there, some of which are more than 70 years of age, are given particularly loving care and cultivated without the use of pesticides. Extra virgin cold-pressed olive oil achieves the highest standard of quality when the level of fatty acids is no more than 0.8 g per 100 g of oil. Bisceglia's oil is as low as 0.3 g. One of the most important advantages of extra virgin olive oil from Bisceglia is that it is extracted from the very first cold pressing of the olives. And with only a limited number of bottles produced, it is no mass product. 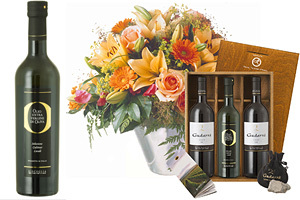 Fleurop flowers & extra virgin olive oil from Bisceglia? You'll find the shop HERE. 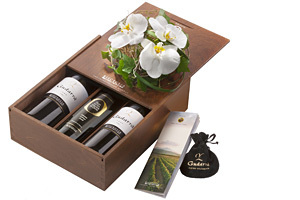 Gudarrà "Southern Italian Essence" gift set: contains 2 bottles of Gudarrà – Aglianico del Vulture DOC red wine (2 x 75 cl), 1 bottle of exquisite, cold-pressed extra virgin olive oil (50 cl) and a Monte Vulture volcanic rock in an elegant jewellery bag. Gudarrà - Aglianico del Vulture DOC red wine has been awarded three glasses (the highest rating) twice in a row by the "Gambero Rosso" wine guide. 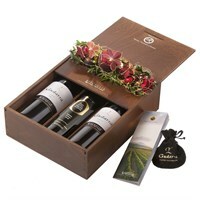 Fleurop flowers & red wine/olive oil? You'll find the shop HERE. 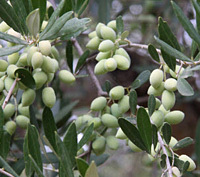 In Basilicata, olives are part of the history of the area. They have been grown there since the Magna Graecia period (from 800 BC onwards). The olive oil produced here has always been of first-class quality. Nevertheless, for many years it was produced for personal use only and has only been among the insider tips of fine food stores for around 10 years. The characteristics of its aroma and taste are so unique because of the perfect mineralogical composition of the terroir in which the olive trees grow. 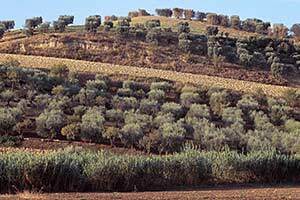 In addition, while the olive varieties selected for the oil do not have an extremely high yield, they do guarantee the best-quality oil. The best extra virgin-quality oils are produced from olives that are harvested at the right time: just at the point when the green fruit starts to turn dark. That's when the olives have the highest oil content and little water. The level of undesirable free fatty acids, which also determine the acidity of the oil, is also lowest then. Extra virgin olive oil from Bisceglia is made this way. 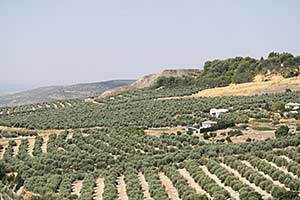 In addition, the olives are harvested carefully by hand and processed within 24 hours to prevent any loss of quality. They are carefully washed and peeled and fed into stone mills made of granite. 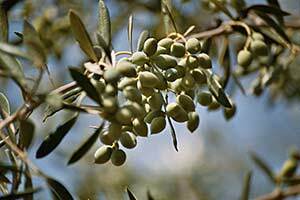 These in combination with the low temperature during the milling process ensure that the substances contained in the olives are preserved. The resulting fruit mass is then spread on mats and placed under pressure to extract the fluid. The oil is separated from the water in a centrifuge. 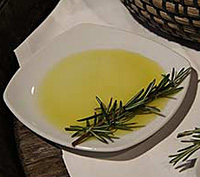 Olive oil from Bisceglia has an extremely low level of free fatty acids: its colour is gold with olive-green accents, it has a full and long-lasting aroma with a medium-strong, pleasant fruitiness in which bitter, herbal notes predominate. Even the ancient Greeks used an enormous amount of olive oil. Not only for cooking, but also for personal hygiene and rituals, as a medicine and a fuel for oil lamps. They calculated that every adult citizen needed up to 55 litres a year. The men were evidently vain and needed very much more oil than the women: they used 30 litres a year for personal hygiene alone. 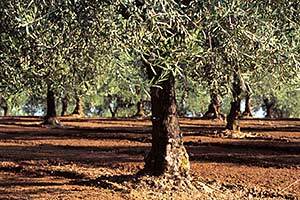 In our world, the finest soaps and moisturising creams are also produced from olive oil. However, most now ends up in the kitchen in an era when we not only value its exquisite taste, but also know about the health benefits. Research has shown that cooking with olive oil helps to prevent circulatory disorders, slows down aging processes and generally helps us lead a healthier life. From this point of view, it is probably no wonder that the peoples of the Mediterranean countries, who cook mainly with olive oil, have lower cholesterol levels than others despite a diet higher in calories. 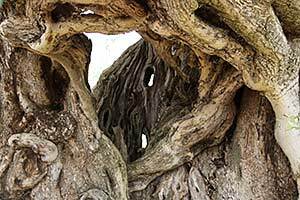 The history of olive trees goes back thousands of years. Wild varieties may have existed more than 9,000 years ago, but they were probably cultivated in the Middle East around 5000 BC. From there, they spread along the southern Mediterranean coast and came to Egypt, where they were regarded as a gift from the gods and the symbol of life and fertility. 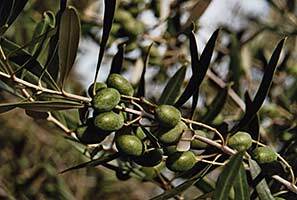 Under Ramses III (1188 BC), a particularly large number of olive trees were planted. We are told of a legendary 2,750 hectares (that's 27 million m²). They were dedicated to the ancient Egyptian sun god Ra, because olive oil was also used for ritual purposes. 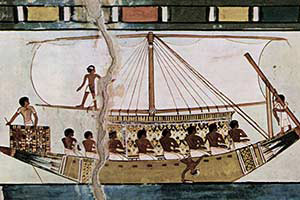 Later on, the Phoenicians as great sea traders helped to make the valuable "liquid gold" well known in all the major cultures of the Mediterranean. In the 4th century AD under Constantine, there were 2,300 places in Rome alone where citizens could stock up on olive oil. 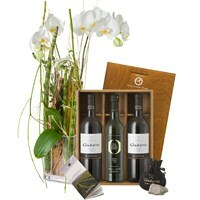 Did you know that, according to the Greeks, the olive tree was the gift of a goddess? Legend has it that in ancient times the sea god Poseidon and the goddess of wisdom Athena fought over which of them should become patron of the Greek region of Attica. To settle the matter, the King of Attica decided that each god should make a gift. The one who made the more attractive present would win. The competition was held on the rock on which the Acropolis was later to stand. The gods now took their turns: Poseidon struck the rock with his trident and a spring broke out, which unfortunately only gave salt water. 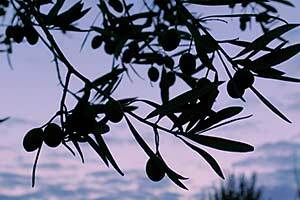 Athena, on the other hand, gave the residents of Attica the first olive tree and therefore food, shade and timber. 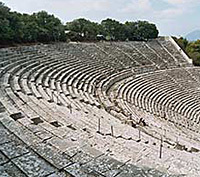 Naturally, the King of Attica chose the gift of Athena, and the capital of Attica was named Athens. 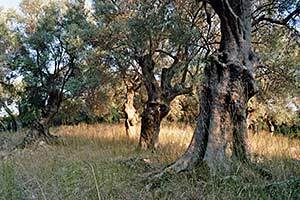 An olive grove then grew on the north slope of the rock which was dedicated to the goddess Athena and where it was forbidden to fell trees on pain of death. 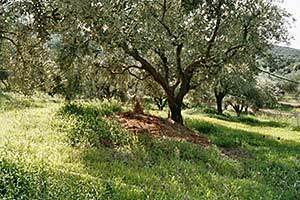 Olive trees are fascinating: they need dry heat and a lot of sun, but are otherwise modest in their requirements. They survive in even the poorest environments and draw water out of the soil in hot summers with roots that are up to six metres long. Despite this, they grow up to 20 metres high and live to a ripe old age – though only in individual instances. Their age is hard to determine. 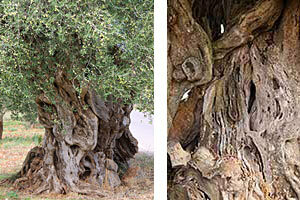 However, the probably oldest olive tree in the world is said to be in Ano Vouves in the region of Kolymvari (Crete). It is estimated to be 3,000 years old and has a circumference of 13 metres. 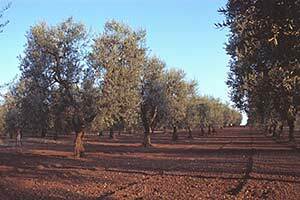 By the way: there are around 1,000 varieties of olive tree. 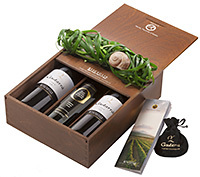 However, a diversity of flavour which can be compared to that of wine is produced by only around 150 of these in the various regions where olives are grown. 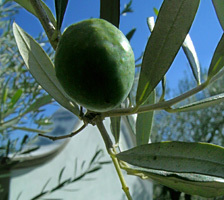 An olive tree produces its first fruit after around four to ten years, depending on the variety. 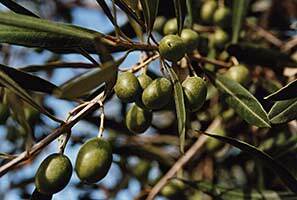 And it produces around 20 kg of olives every year on average, which corresponds to around 3 to 4 litres of olive oil. The tree is at its most productive after about 15 years. Care tips for olive trees are HERE.